PYHIGH Indoor Cycling Bike Review – Is It Worth Your Money? Are there enough exercise bike reviews? Probably not, so here is another one. 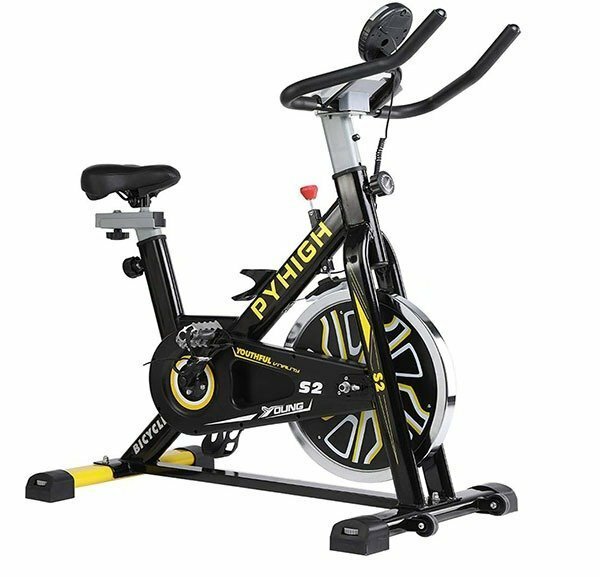 Today, we will take a closer look at Pyhigh indoor exercise bike and if it’s indeed worth your money. This particular bike is very similar to other indoor cycling bikes, like the ones produced by Merax and YOSUDA. All these bikes differ in materials, weight support, resistance systems and other features, that’s why each one of them deserves its own review. But what makes Pyhigh exercise bike so different? Let’s find out. The bike itself comes with a 35 lbs bidirectional flywheel for both easier and tougher performance. It offers felt pads for smooth adjustable resistance system. It is a belt-driven exercise bike with high-quality leather transition system. The resistance / tension system is adjustable with a tension knob, even during your workout and it also features felt fabric brake system. The total weight support is 280 lbs. The handlebars can be adjusted vertically, according to user’s preferences and they come covered in an anti-skid material. The cushioned seat is a bit oversized to fit every user and is adjustable vertically and horizontally for the best performance. The pedals are caged and made of aluminum alloy. The LCD monitor tracks distance, time, speed and calories. The base of the bike can be adjusted to fit all kinds of floor and the front base include transportation wheels. The bike also comes with a bonus – a water bottle holder. 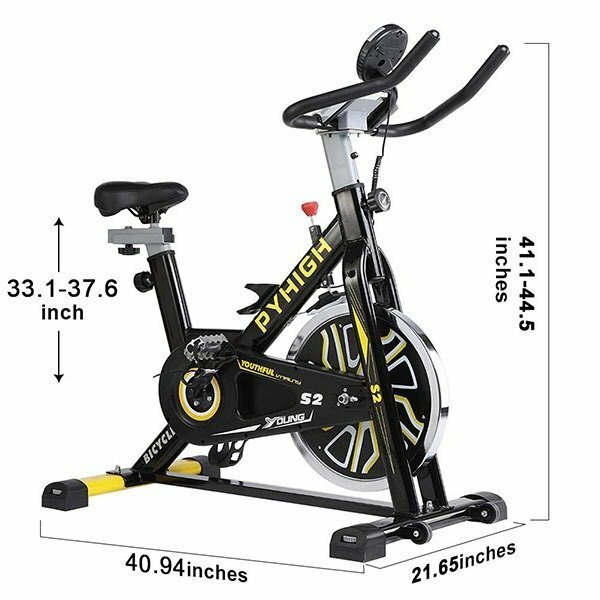 The assembled dimensionsof Pyhigh indoor exercise bike are 40.2″ x 21.7″ x 46.1″ (102.1 x 55.1 x 117.1 cm) and the weight is 79 pounds (35.8 kg). The Pyhigh indoor exercise bike is shipped in one box and every part is well protected. The assembly should not take you more than 30 minutes, as everything is more or less pre-assembled. You can also do it on your own without any issues. The frame itself is very sturdy indeed. I have no problem believing the max weight support of 280 lbs. Thanks to the adjustable seat and handlebars, it can fit basically any person, although if you are 6’1” + you might want to look for an alternative, as it will be small for you. The seat itself is padded, cushioned and quite comfortable, although it is a bit tough. The real deal came in regard to sound. It makes basically none, thanks to the belt driven system. 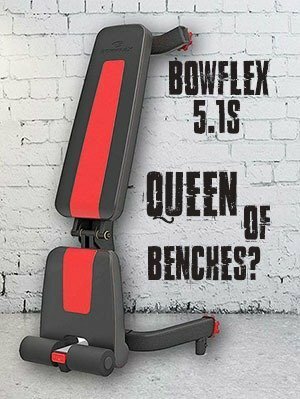 So you can exercise while watching TV with other people without any problems. What you can expect is a small amount of vibration thanks to pad pressing against the flywheel, but that is tolerable. The aluminum alloy pedals are a standard in regard to indoor exercise bike and Pyhigh indoor exercise bike in particular is no exception. The good think is they are caged, so your feet stay where they should. The handlebars themselves are pretty standard as well, but thanks to the anti-skid cover your hands won’t slide, no matter how much you sweat. The LCD display is small and pretty standard, not much to add here. As with any other products, Pyhigh indoor exercise bike does have pros, but cons as well. Conclusion – Should You Go for It? If you do not mind firm seat (you can actually replace it) and you are not 6’1” +, then I’d definitely recommend this bike. It is a solid, sturdy, quite bike that is very affordable. So why don’t you check the pros and cons again and decide for yourself.